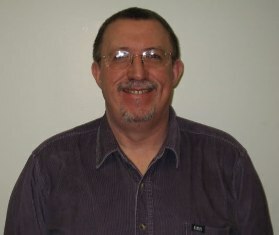 Members of ATSiP were deeply shocked and saddened to hear of the loss of our colleague Keith Nicholson who passed away in early June 2009 after a short illness. He was our local conference organiser in Liverpool 2008 and will be missed by many. The tributes below capture the feelings of many who knew him. The Keith Nicholson Memorial Prize will be presented annually at Conference for best voted ATSIP talk during the meeting. There is a shield which will be held for a year and a £150 Gift Token for the winner. I have very nice warm memories of camaraderie with Keith at previous conferences we attended together during the last five years. In 2008, he kindly hosted the Association of Technical Staff in Psychology (ATSIP) annual conference at his University at Liverpool John Moores. The build up to that event meant we were having email exchanging almost hourly as the time came to welcome us all to the Liverpool City of Culture. He was very methodical in his work and really great company as he would have many a tall story to tell (I think most were even true!!). He gave us a great tour of the Liverpool pub scene taking us to the many famous and trendy bars and also the architectural side of the city which I was glad to be informed about (Western Rooms, The Cathedrals, the dockside, St George's Hall, etc). Nothing fazed Keith, nothing at all, even when he joked on the phone about his Big C he said he would give the ****ard something to think about! Keith I could tell was always a very dedicated and professional person who I instantly recognised as having a very good rapport with those he met around him. We realise at ATSIP that he will be missed and we would like to honour him in some way which will be discussed at Dublin next month. I think Keith would wish us to have a good conference and he even said he wanted to be ‘big and bad for 2010’. This shows to me that he always had a fighting spirit. Keith did a great job on the Liverpool conference - the conference dinner really set the bar for future conferences. What I remember most about Keith was his warmth, kindess, love of live and his concern for others, but most of all his laughter and his great sense of humour!! One of my fondest memories of Keith really says it all about who he was. I had just been a technician for 6 months and attending my first ATSiP conference at RHUL. keith was one of the first to come over and say hello to the new person. After ascertaining which university I was from he asked how many technicians there were in the school, to which I replied I was it. He was adamant you needed at least 2!! I now believe him!!!! What shone through straight away was his warmth and great sense of humour. A great human being has been taken far too early.